The following statement is attributed to Chris Christie, the sitting governor of New Jersey, at a meeting with the national RNC, which was closed to the press at the request of Christie himself. It was then reported once again, a few days later, in Maureen Dowd’s NY Times column, entitled “Less Bully, More Pulpit” (August 27, 2013). A second point concerning college professors in Christie’s statement is his notion of the relevancy of what college professors do. In his opinion, “they basically spout out ideas that nobody does anything about.” This declaration is so problematic, that there truly is not enough room to discuss as much in any forum short of a book. But let us try. First of all, there is no unique creature as the “college professor”; there are, instead, various types of college professors insofar as there are different disciplines that are taught in college. These disciplines range from the natural sciences to the social sciences, and from the humanities to fine arts. The spectrum is obviously broad and most varied. That Christie then paints the entire professoriate with one brush would be a mortal sin in the political world that he inhabits. Why would he then do so with regard to the teaching profession at the college level? Let us be frank, it is facile and puerile; it demonstrates either ignorance of the profession or a total disregard for the profession. Either way, it is an unacceptable and, we might say in street parlance, cheap move. What do college professors do? Well, in the natural sciences they research all sorts of phenomena that make our physical life more comfortable; from cancer research in general to more specific issues such as neurological and organ research. What do the social scientists do? Some study behavioral patterns of humanity, why and how; others study economic patterns and how and why they occur. Humanists guide us through all of these phenomena, enlighten us as to their existence, and teach us how to negotiate such matters. Finally, those in the fine arts provide us with the visual and literary pleasures that complement and, dare I say, complete the entire set of natural and epistemological matter that make up our existence in this world. In this sense, then, college is clearly much more constitutive than Christie obviously is incapable of recognizing. 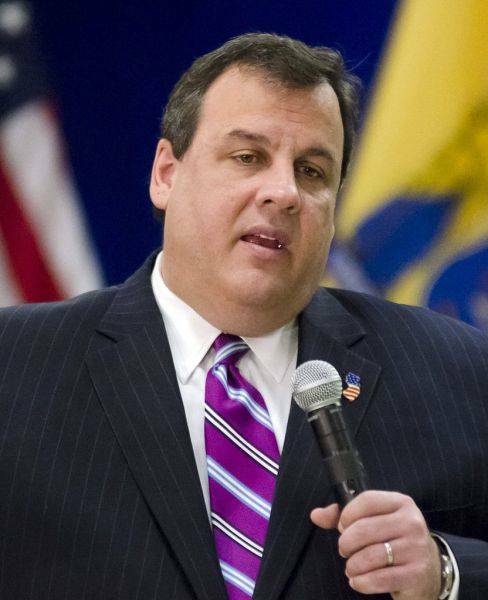 With regard to Christie’s Italian American-ness, there is not much to say, except that we can only assume — yes, this is the same modus operandi Christie seems to adopt — that his notion of Italian-American culture is limited to the vision of grandparents, Sunday afternoon dinners of the past, and food in the present. For many, their Italian American-ness is relegated to a nostalgic vision of Italy and what is on the table today in front of them. This type of attitude, which cannot comprehend the notion of an evolving Italian American-ness or that of some form of philanthropy to support such a culture, is foreign to many of Christie’s ilk, those individuals who see a college education as a vocational license and nothing more. The fact that college is a life-changing experience that opens up the individual to new forms of knowledge and thus broadens his/her horizons remains foreign, as seems the case, to Christie, which, instead, is what many see as an integral part of the college experience. What does this have to do with Christie’s Italian American-ness? If there is one thing many have discussed these days it is the notion that Italian-American Studies should be a part of the college curriculum. If one sees the college professor as someone who basically does nothing, as Christie’s statement clearly implies, and if college is a vocational experience only, then what good would Italian-American Studies have for those who think like Christie. Of course, we know that the greater informed we are of other people’s cultures, the more we understand them. As a consequence, we become members of a more integral society insofar as prejudices — those notions that are the results of ignorance and fear — fall by the wayside, and greater comprehension of ethnicities is one of the results. But there is another drawback to the notions brought forth by the likes of Christie and company. If we were to speak in terms of cultural philanthropy, one who thinks that college professors do nothing and — the logical consequence — have no real social value, then why would they contribute to any of the many programs, especially those within the humanities? Some have stated ad nauseam that in order for the Italian in America to be understood better and not be the subject of negative portrayals in the media, courses on Italian-American culture are necessary at the college level. Thought processes such as Christie’s, instead, leave no rationale for the cultural philanthropy that would help fund such courses or the actual rationale for the ragion d’essere (i.e., “razon d’étre”) of such courses. In this regard, finally, we need to interrogate, if ever so briefly, how Christie’s Italian American-ness is in such contrast to the history of Italy’s philosophical and conceptual thought processes throughout the centuries. This, I need to underscore, is not unique to Christie. Italy, and here I mean that geo-cultural area that dates back to the 1200s — not the Roman Empire — is truly a bastion of innovative thought processes and philosophies that are second to none. Such a rich history of Italy and what it has contributed to the western world over the centuries prove to be second to none, I would contend. With regard to philosophy, we have the likes of St. Thomas Aquinas, Leon Battista Alberti, Laura Cereta, Nicolò Machiavelli, Baldassare Castiglione, Philip Mazzei, Giambattista Vico, Benedetto Croce, and Gianni Vattimo. As for law specficially, Cesare Becaria comes to mind. Language theory and linguistics, of course, reminds us of Mario Pei, Maria Corti, Umberto Eco, and Cesare Segre. But all of this listing of names means nothing if access to knowledge of these and other significant figures throughout Italy’s history is not studied.